susannahbean: I finally found it! Remember this nailpolish that I've been droooling over? 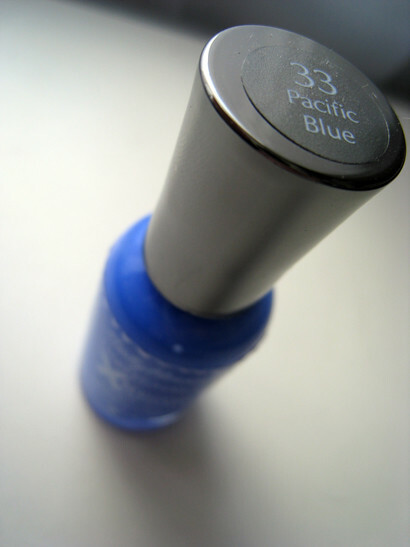 Sally Hansen Xtreme Wear in Pacific Blue. It was like $3 at the grocery store. So excited! oooohh...I love that! I'm going to have to try it! I am obsessed with nail polish. I've been really into blue lately too!